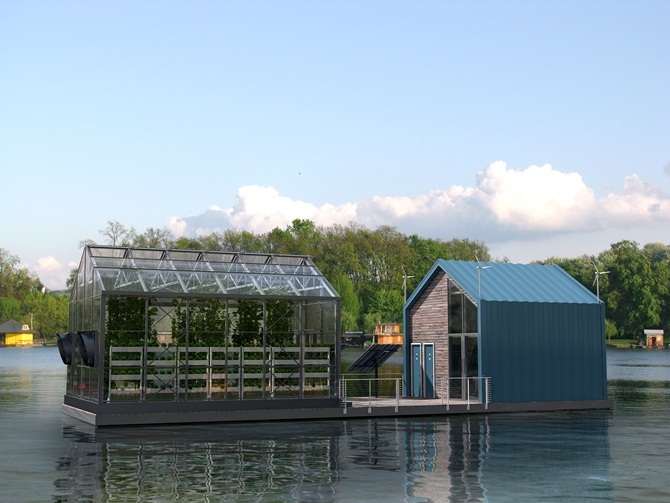 Designed to float down the Danube river in Europe, the Eco Barge is a solar-powered floating greenhouse illustrating the possibilities of offshoring urban food production. 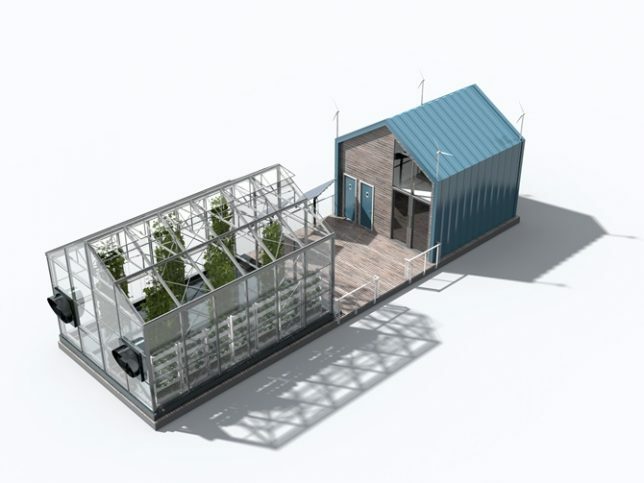 In addition to growing usable organic produce on the water, the barge has educational components, aiming to host presentations and workshops for citizens of European cities along the river, starting in Belgrade. 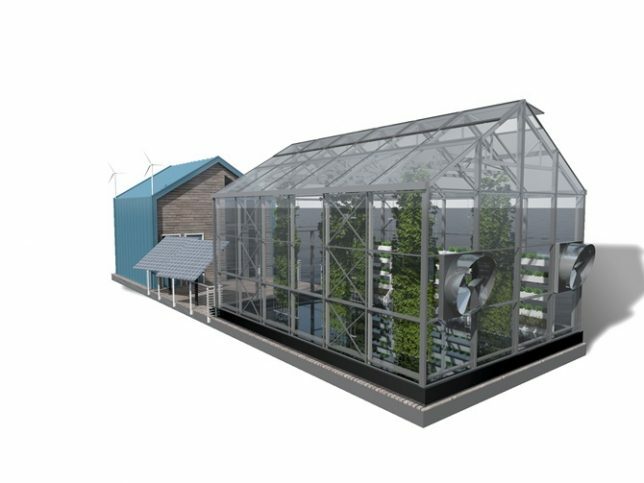 Growing on the water allows food production to remain local without taking up valuable urban land. 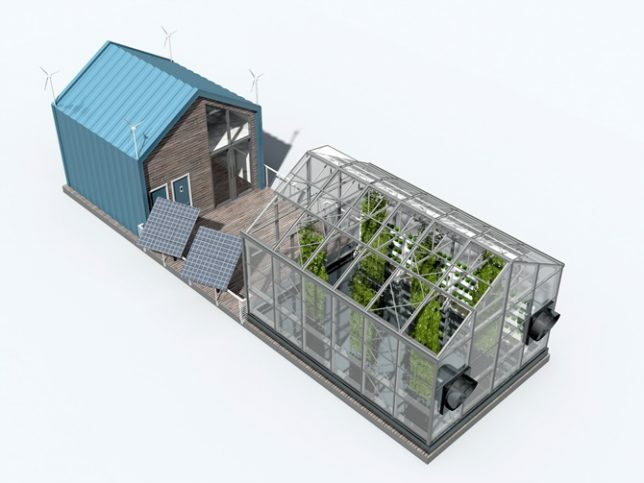 An indoor office and presentation space brackets one end of the barge while the greenhouse is situated at the other, an open space with solar panels sitting in between. Sun and wind power systems generate renewable energy used to power the vessel as well as its on-board irrigation system. 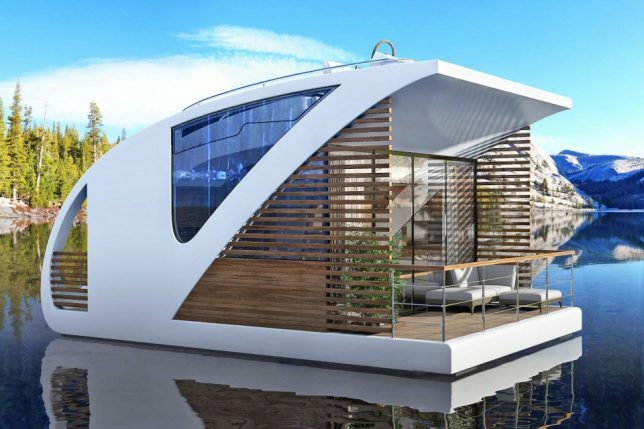 Salt & Water, the architectural and yacht design firm behind the Eco Barge, are known for their floating projects, including a floating hotel concept made up of private yachts. 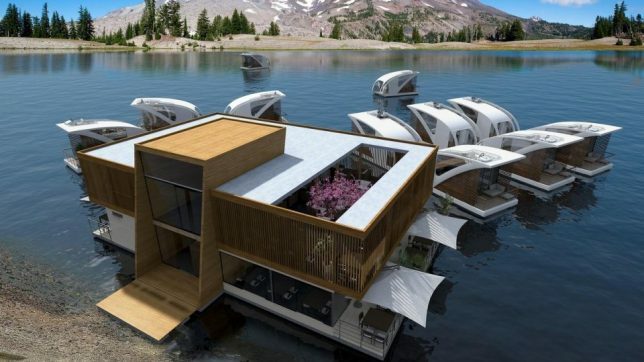 These independent boats share common docks and community spaces, but can detach for explorations as well.